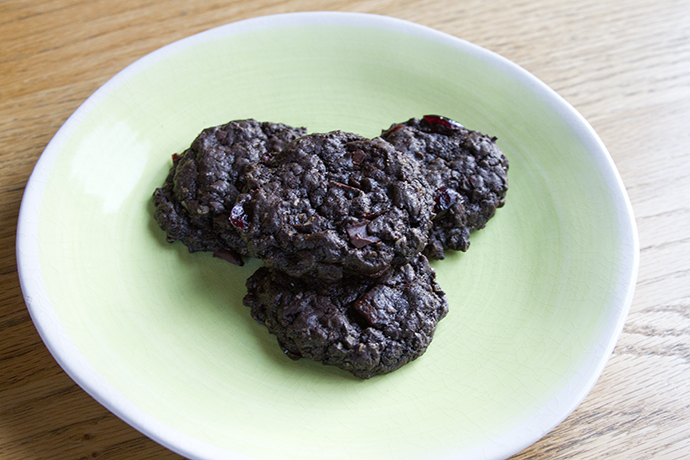 In my never-ending quest for delicious allergy-friendly desserts, I present a delicious chocolatey oatmeal cookie. 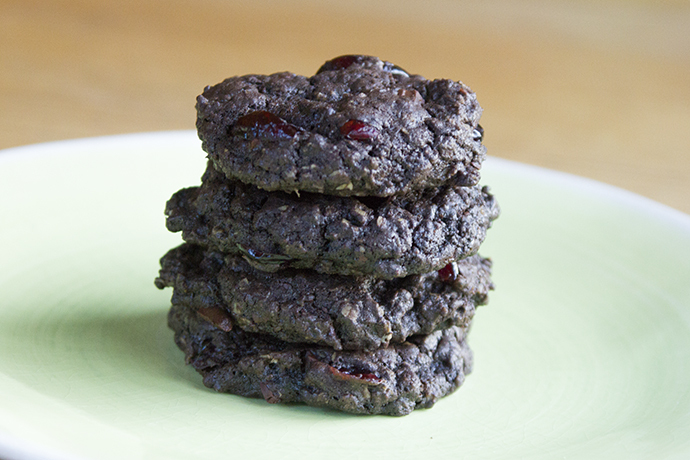 Dark, rich, chocolatey and chewy cookies. Preheat oven to 350F. Line 2 baking sheets with parchment paper and set aside. 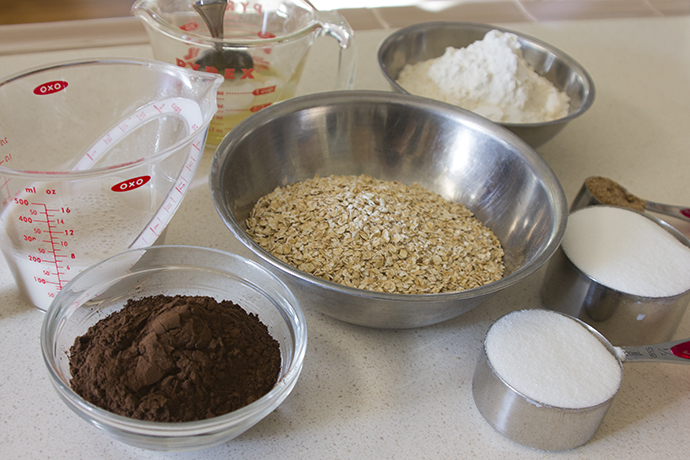 Mix oats, flour, cocoa, baking soda, baking powder, and salt in a medium-sized mixing bowl. Set aside. In a large mixing bowl, beat together sugar, flax seeds and nondairy milk until smooth. Add oil and vanilla and mix well. Add the flour mixture and stir just to moisten. 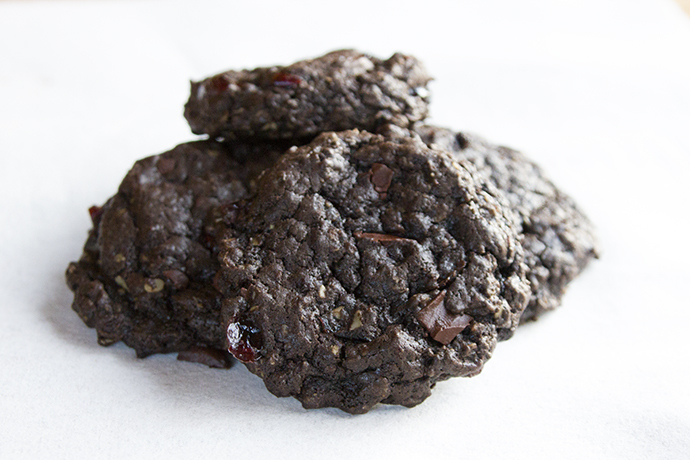 Add chocolate and dried cranberries and mix well. 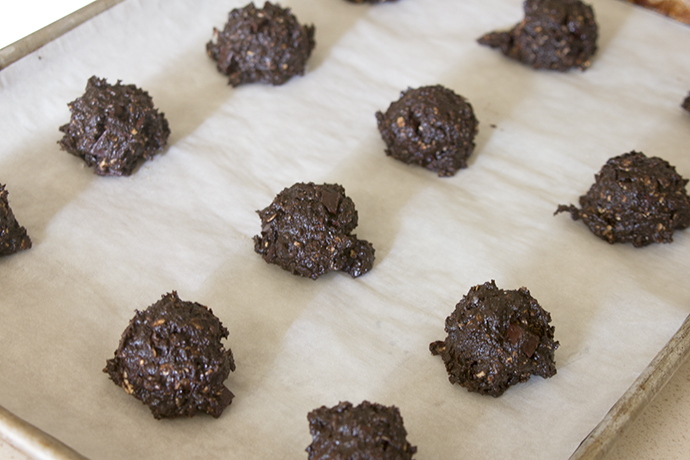 Use a cookie scoop or spoon to portion the dough into balls the size of walnuts, and place on prepared cookie sheets, leaving 2 inches between cookies. Use your hands to flatten dough slightly. Bake for 10-12 minutes, until cookies are firm and have risen slightly. Cool on baking sheets for about 5 minutes before removing to racks to cool completely. Makes about 30 cookies.